A Model to Predict IPO Performance. 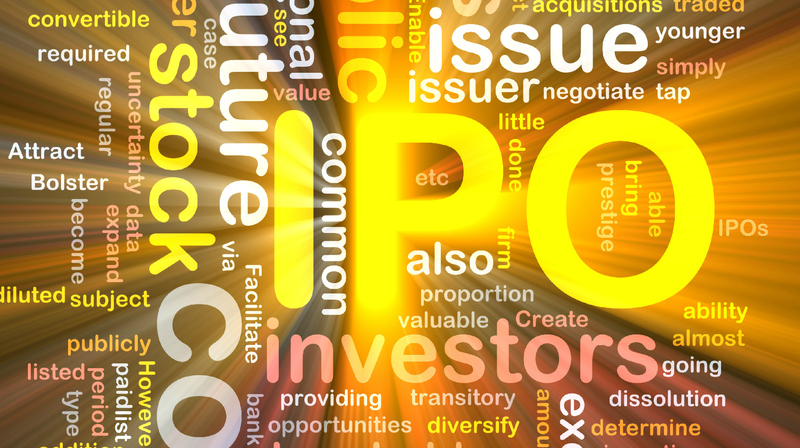 I’ve had some luck with IPOs, in the few years I’ve been investing. The two clear cases where LinkedIn, in which I doubled my investment over a weekend (bought Friday, sold Monday) and Facebook which I rightly surmised was overvalued on IPO day, but which I later bought once it fell from around $39 to $20 and then sold at past $55 in 2013. They were not particularly difficult trades, but that was mostly because I knew the companies well, and they got a lot of press which in turn led to an abundance of information about their financials and investor demand. From this I was able to make some valuation determinations and trade them profitably. I did trade Alibaba’s IPO as well, but I only managed to break even on that. My experiences with these started me thinking: is there a reliable way to predict the performance of an IPO, accounting for all the variables that go into determining it’s opening price? The obvious or easy answer is no, but I can’t shake the nagging feeling that there might be. I’ve been thinking of the basic factors that in my estimation, go into determining the performance of an IPO. 1. The financials of the issuing company: their revenues, their profits, growth rate, capital structure, efficiency, all that come into play in determining their value which in turn drives performance. 2. The quality and committedness of the management and employees of the company. 4. The reasons for the IPO (are they under financial pressure, are they trying to cash out some early investors, are they taking advantage of market conditions) which affect how much they are selling and how high they’ll price, which affects demand affects final performance. 5. The underwriting bank. Some investment banks have wider investor networks, more analysts that cover some industries and are overall better at pricing an IPO than others, all of which help them drum up more demand or analyze the company better which helps them set the IPO price properly which in turn contributes to the performance. 6. Other ways of estimating demand, including if the company is a household name, is in a new space or has a monopoly position, a bunch of subjective factors. The point is, there seems to be an inexhaustible number of factors that could help predict how well an IPO would perform. However, I think there are a few major ones that drive most of it across any company. But due to the lack of definitive information pre-IPO, there’s no easy way to see if I’m right and if there is a unifying logic to how they fit together that one can apply to IPOs across the board to predict their performance. I have it in my head that if I do a real cool, objective study/data crunching of a lot of companies around their IPO period, a pattern might emerge. I’m kind of scratching my way around that, right now. My goal is to create a model that one could say, plug in any number of the above criteria, assign rating scale to the subjective factors (like each point higher on a scale of 1-10 of management quality adds 1% to IPO performance or value), and match the relationships between all these factors in a way that can tell me say, the IPO should trade at $50/share and then if it’s priced at maybe $30, I know to expect a 66% pop, or if it’s priced at $75 then I can expect a drop. Obviously no model would ever be 100% accurate, but if it’s more accurate than not, I’m good. I mean, the whole thing is just valuation on steroids, but I have to make some assumptions about IPO values across the board instead of a case by case basis, that I want to ground in some research. And to be honest, the kind of statistic analysis I think I need, isn’t exactly my forte. Maybe I’m chasing a chimera and should go chill. Cos I don’t even think I explained it with enough clarity. But if you have a hint of what I’m driving at, and your stats/math skills are on point, reach out to me. Maybe if we talk, I’ll explain till you get what I’m thinking, if you’ve not already. Either way, I’d love to know your thoughts.